Level 10 M Advanced gaming mouse is the enhanced version of the first version of our Level 10 M Mouse and itâ€™s the first foray into gaming peripherals formed through the design collaboration by Thermaltake Group and BMW Group DesignworksUSA. 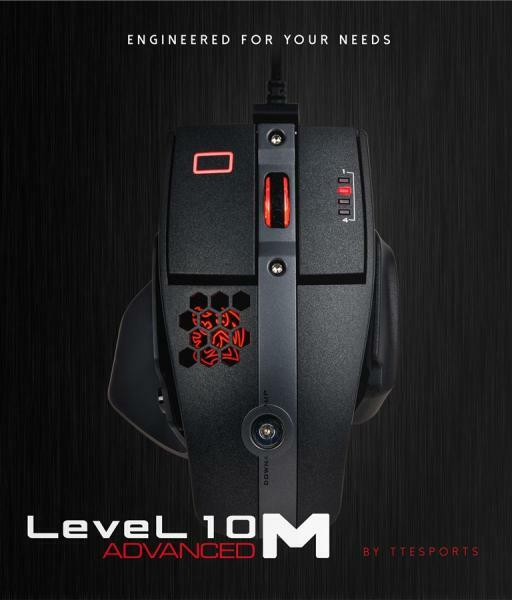 The Level 10 M Advanced gaming mouse was built with a laser engine up to 16000 DPI that can be used on most surfaces. OMRON engineered switches have a lifetime of 50 million clicks, improved ergonomic shape design for better hand grip feeling with an additional base-plate design to reduce friction while moving and has a brilliant RGB illumination with 16.8 million color. Just saw the video so i came here to say, it looks awesome, gj!